Thanks to positive feedback from a geochemist reader, I can correct my description of the global carbon dioxide cycle. The ideologues who try to drive a wedge between Marx and Engels must ignore the simple fact that Marx read and approved of Engels’ most important work. In addition to his major contributions to the theory and practice of organic chemistry, the Red Chemist authored the first history of the subject, a book written from the standpoint of historical materialism. Carl Shorlemmer’s contributions to chemistry were described in this biographical note, published 99 years ago. And there is a statue of him in Germany. Ian Angus’s new book of ‘essential debates at the intersections of socialism and science’ will be available soon. Here’s what some early readers say about it. Twenty million people face imminent death from starvation and famine. Many more will suffer and die from disease. These are the people that Trump is targeting. Climate and Capitalism, ”an ecosocialist journal, reflecting the viewpoint of environmental Marxism,” was born on January 29, 2007. Ten years and 2500 articles later, C&C’s second decade has begun. Long-time ecosocialist activist and writer Terry Townsend is fighting his way back from a massive stroke. You can help ensure that he can participate in political activity again. 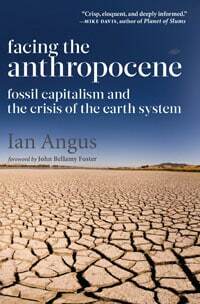 Ian Angus recommends three book reviews on ecological Marxism, and two websites that eviscerate climate science deniers. 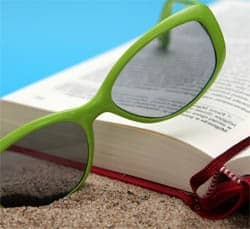 Ian Angus offers his opinions and recommendations, pro and con, on seven books he read while Climate & Capitalism was taking a break. How will future geologists recognize the beginning of the Anthropocene in rock records? Quite possibly by an unprecedented accumulation of fossilized trash. 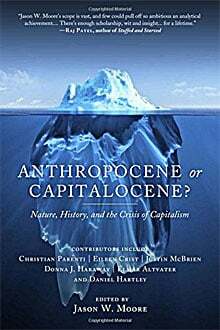 The authors of this book have very little to say about the Anthropocene, the crisis of the Earth System, or the new global epoch, and most of what they do say is misleading or wrong. Climate & Capitalism is taking a short break. 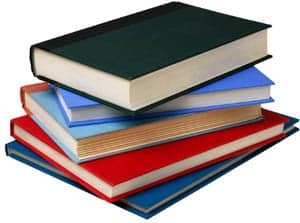 To help you avoid painful withdrawal symptoms, here are five books and a pamphlet that should be in every ecosocialist’s book bag this summer — or winter, if you are in the southern hemisphere. Ian Angus replies to a reader. If ‘overpopulation’ is not a primary cause of global environmental problems, what about island nations with limited space and resources?